In a world where fake tour posters are all over the internet, it’s best not to believe everything you see. Exhibit A. — a poster is doing the rounds online, purporting to be for an upcoming 2019 Australian tour from metal heroes Metallica, supported (supposedly) by Megadeth and Anthrax for six shows across Sydney, Melbourne and Brisbane in June next year. Despite the poster appearing to be decently well-made, touring giant Live Nation has confirmed to Music Feeds that the image in indeed a big ‘ol fake. It’s also the latest in a long line of recent imitation posters, which have plagued acts like The Amity Affliction and festivals like Download Festival Australia. Metallica haven’t performed down under since Soundwave Festival back in 2013, and they completed their last headline tour of Australia back in 2010. That said, drummer Lars Ulrich recently said the band have “gotta go to Australia” at some point during their current tour behind latest album Hardwired… To Self-Destruct, which could take the foursome into 2020. The band were initially believed to be touring Australia in 2017, after former Soundwave boss AJ Maddah hinted in late 2016 that a tour was happening. Maddah later claimed that Metallica would tour Australia in 2018, but a local tour is yet to be announced. 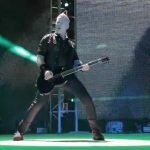 Metallica kicked off their ‘WorldWired Tour’ in 2016, and it has already made its way through the US, Canada, South America, Europe, Latin America and parts of Asia. The band’s 2010 Australian tour included shows in Melbourne, Sydney, Brisbane, Perth and Adelaide, as part of the ‘World Magnetic Tour’. Read up on 15 other huge concert tours we’re still waiting for in the gallery below. 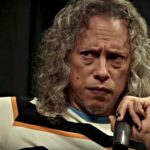 The post Yep, That Metallica ‘2019 Australian Tour’ Poster Is Fake appeared first on Music Feeds.